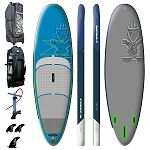 The Epic Gear Stand Up Paddle Bag is an economical bag with a lot of great features. It's a wall bag with cinch straps that allow you to adjust the height for a snug fit. This is a nice feature because it reduces the opportunity for the board to slide around or flap in the wind when your traveling on the road. With 6mm of foam padding, this is a day bag and isn't really recommended for heavy airline travel. 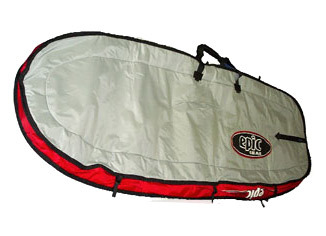 Epic gear has also added fin slots on each side of the SUP bag and plastic zippers that wont corrode. 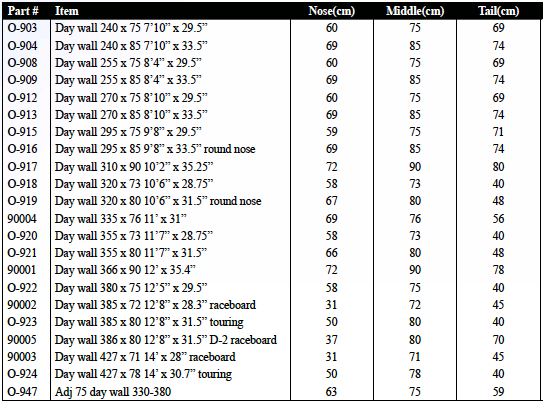 There is a size for almost every board made & an adjustable bag that can go from 10'10 to 12'5. Call us if you have any questions about bag sizing (800) 320-9463. Well made, exactly what I was looking for, I have a total of 3, one for each board! !